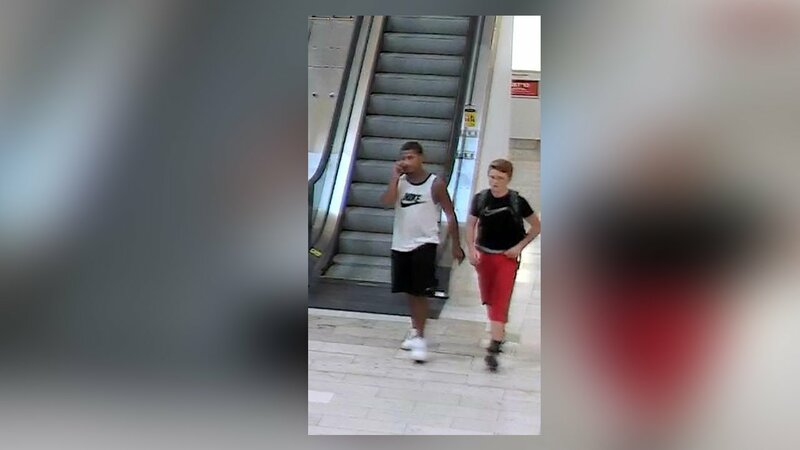 NEW SPRINGVILLE, Staten Island (WABC) -- Police released the image of two people suspected of setting off fireworks inside a Staten Island mall. Officers say the two may have set off fireworks in the food court of the mall on Richmond Avenue shortly after 5 p.m. Saturday. The incident caused patrons to panic and run from the scene, resulting in numerous minor injuries, according to the NYPD. The chaos forced the mall to be temporarily evacuated. Police responded to the Staten Island Mall on Saturday after there were reports that shots were fired. The NYPD confirmed that there were no gunshots, and fireworks were set off at Macy's department store. Police are looking to question the two persons of interest seen in the surveillance photo, who both approached the incident location immediately prior to the fireworks going off.